Dickens seems to have put his whole self into these glowing little stories. 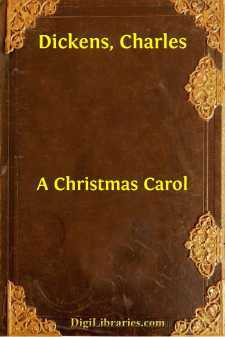 Whoever sees but a clever ghost story in the "Christmas Carol" misses its chief charm and lesson, for there is a different meaning in the movements of Scrooge and his attendant spirits. A new life is brought to Scrooge when he, "running to his window, opened it and put out his head. No fog, no mist; clear, bright, jovial, stirring cold; cold, piping for the blood to dance to; Golden sun-light; Heavenly sky; sweet fresh air; merry bells. Oh, glorious! Glorious!" All this brightness has its attendant shadow, and deep from the childish heart comes that true note of pathos, the ever memorable toast of Tiny Tim, "God bless Us, Every One!" "The Cricket on the Hearth" strikes a different note. Charmingly, poetically, the sweet chirping of the little cricket is associated with human feelings and actions, and at the crisis of the story decides the fate and fortune of the carrier and his wife.